Why, yes, I am still alive! A lot has happened since I've last blogged, and I'm ready to get back into the saddle, so to speak. Where to begin…well, first of all, BFF and I are no longer BFFs. So, you won't be seeing him much around the blog any more. What else? Oh, I have a photographer now. I'll be using her for finished modeled pictures. They might not all happen right away, but she's got some great ideas. I was sick for about two weeks which kept me from doing much of anything really. I think it was possibly Swine Flu, but I don't know for sure. Even knitting was an effort. I've been trying to get back into the swing of things with knitting and blogging. I'm not going to promise that I'll be blogging every day this summer, but I'll be better than I was the last month or so. 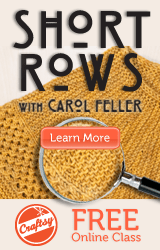 I have some knitting up dates, but you'll have to wait for those! Until next time!! Glad you’re back and feeling better!! I think the last couple of months have been hard a lot of people. I think we need another KIB. Previous post: I’m not so lazy!